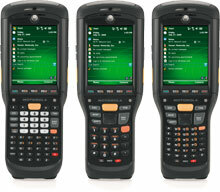 The Motorola MC9500-K is purpose-built for the most demanding field applications. The superior rugged specifications dramatically reduce repair and downtime, delivering an exceptional return on investment and total cost of ownership. Designed to easily handle the inevitable drops and bumps out on the road, the MC9500-K passes Motorola's stringent mechanical design tests for both stress and endurance. The MC9500-K is the first mobile computer to provide true WAN technology independence. In addition to the ability to select either of the 3.5G wireless broadband networks. 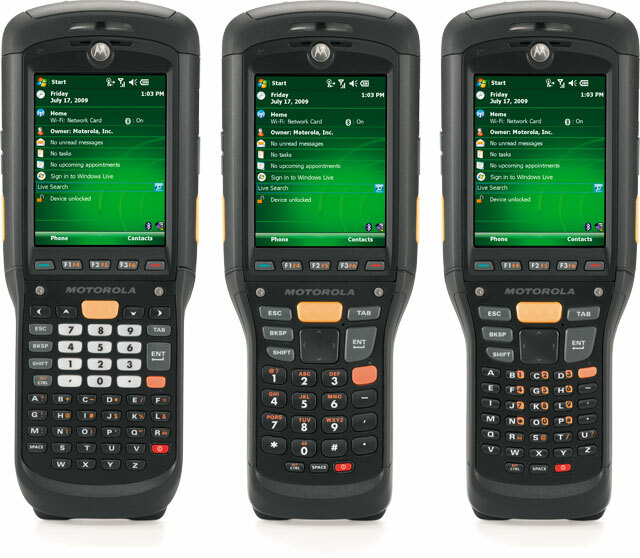 The MC9500-K offers a portfolio of keypads designed to meet the needs of virtually any type of application - from heavy text entry to calculator-style numeric data. Keypads can be swapped in your backroom in minutes, eliminating the need to return the device to a service center. The MC9500-K also offers a new housing, IP67 sealing, the industry's highest drop and tumble rating and more. MC959X-USB-STARTER	 Motorola MC959x Starter Kit. Includes Everything You Need to Run Your MC959x: Charging/Communications Cradle, Interface Cable, US Power supply and AC Line Cord. Call for price. The Motorola MC9598-KACEAB00100 is also known as SYM-MC9598KACEAB0010	or MC9598KACEAB00100	.